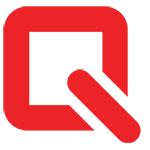 Q MAGAZINE – Batman is ridiculous, because life is ridiculous. Don’t take it so seriously: comic books, TV shows, acting, fighting, life, death. 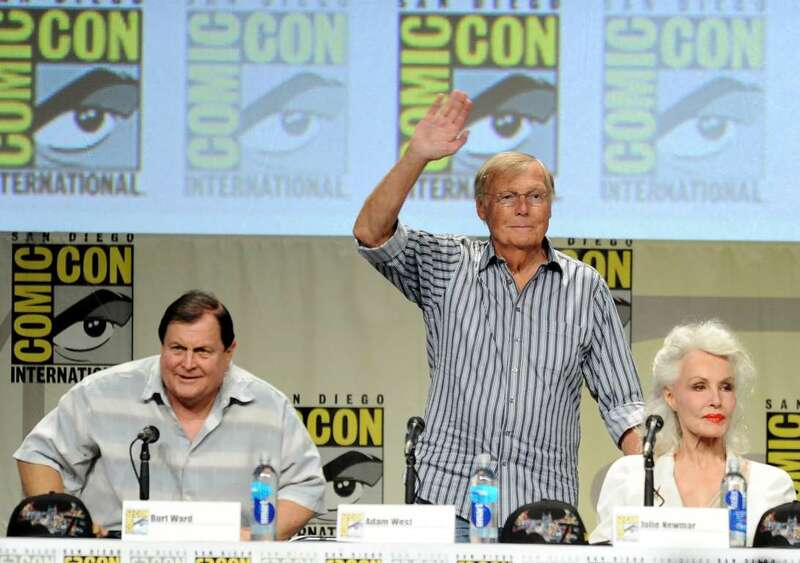 That’s not a lesson Adam West tried to teach, and yet he taught us. West died this weekend, 88 years old. 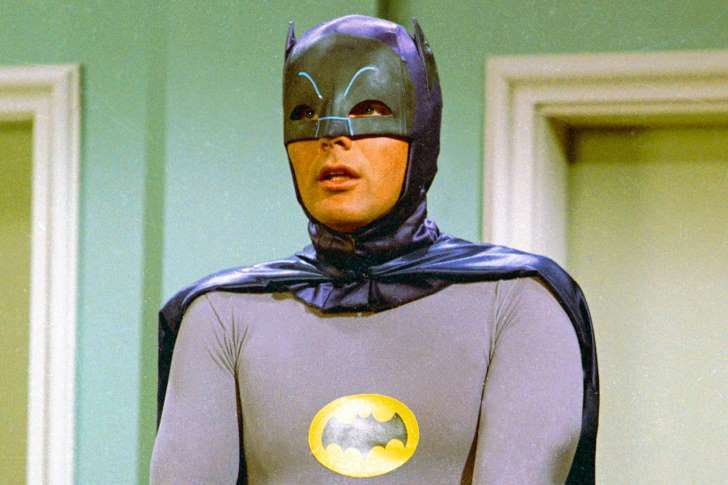 He was half a century out from playing the Caped Crusader in the ’60s series, and so he was half a century into playing his most profound and influential role: “Adam West,” self-mocking yet totally sincere paragon of a vanished age of television and heroism and sincerity and masculinity. Multiple generations experienced West first as proud self-parody, on Space Ghost Coast to Coast, Murphy Brown, NewsRadio, Family Guy, The Simpsons, 30 Rock. 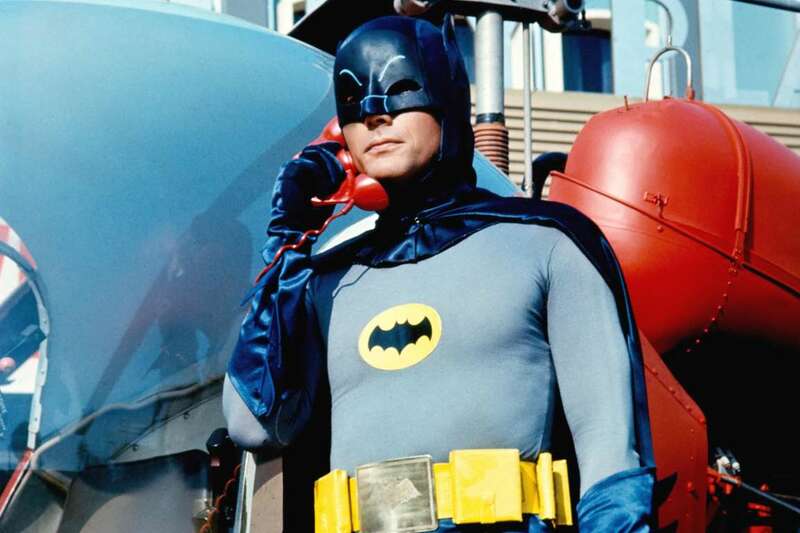 Even when he wasn’t credited as “Adam West,” he was utterly Adam West. (Watch Lookwell right now, dammit!) Past a certain point, he mostly played himself. Thank goodness! No one else could. 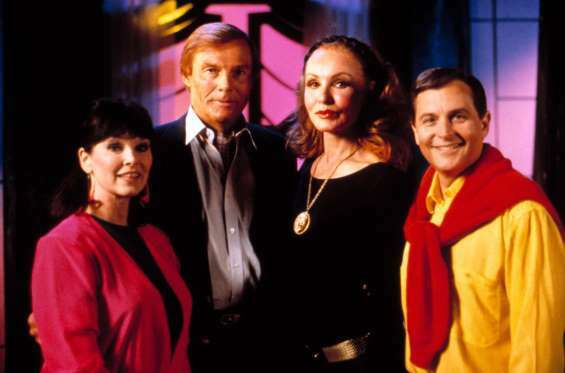 West’s Batman show was a phenomenon, and then it was a relic, and now it looks ahead of its time, ahead of our time. Everything Batman became post-West was a counterreaction to West himself: tougher, grittier, darker, black costumes, sewer cities, more realistic man. Of course, “Realism” was a tricky topic, even before we all started living in clashing alternate realities. A rich man dresses like a bat and fights psychoanalysis-themed supercriminals: If you believe that, there’s a bridge in Blüdhaven I’d like to sell you. 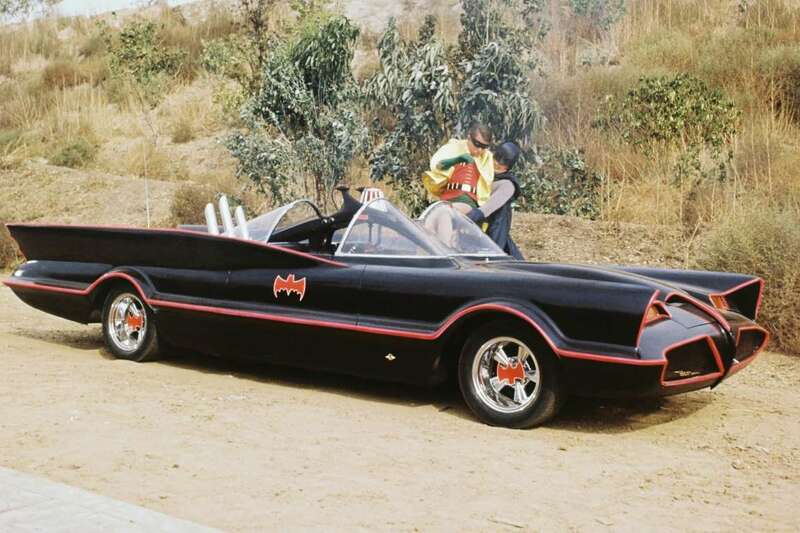 I’m not going to argue that the ’60s Batman show is, like, some brilliant incisive parody of the superhero genre. Or that it gets better when you understand the subtext. (Although: Two handsome unmarried men in sweaters don’t tell their dotty old aunt about the outfits they wear when they go out at night.) The show – and the splendid 1966 movie it spawned – is a goof, a sincere goof, so colorful you would think they just invented color, so pointless you wonder why anyone ever tries to make a point. Eventual realization. Say that ten times fast; now say it in the same sentence as “the brotherhood of man.” West’s best remembered in the Bat-suit, but he did his best work out of costume as Wayne, a rich dude with half a smirk who wanted for nothing and was casually curious about everything. 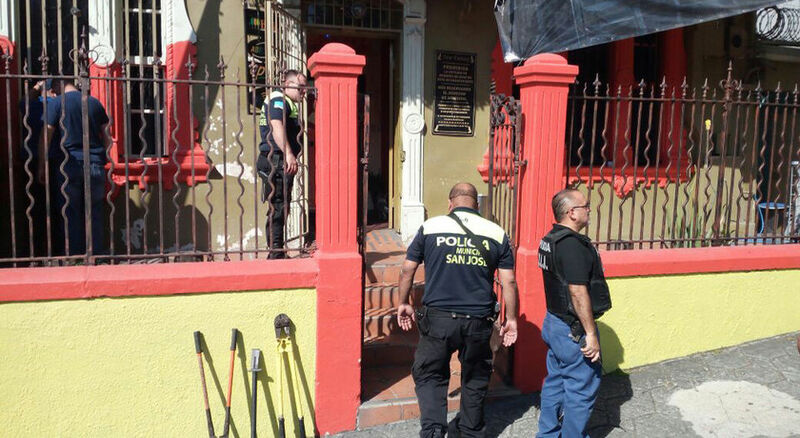 It was a suburban dream of wealth: cool cellar, nice car, piano, maternal non-mother and paternal non-father to handle domestic chores like parents do but enable your wildest instincts like parents can’t. And it was a kids’ dream of adulthood: West’s Wayne was untroubled by anything, flirted like a teenager, fought bad guys for no stakes. 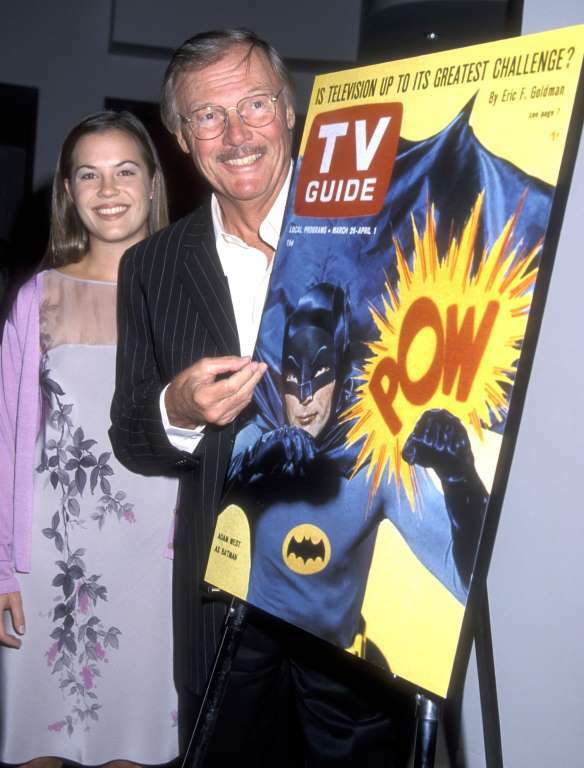 Weirdly, you could argue West was the most life-experienced person to ever play Batman. By the time the show came along, he’d been in the army, he was twice-divorced, had lived for awhile in Hawaii. 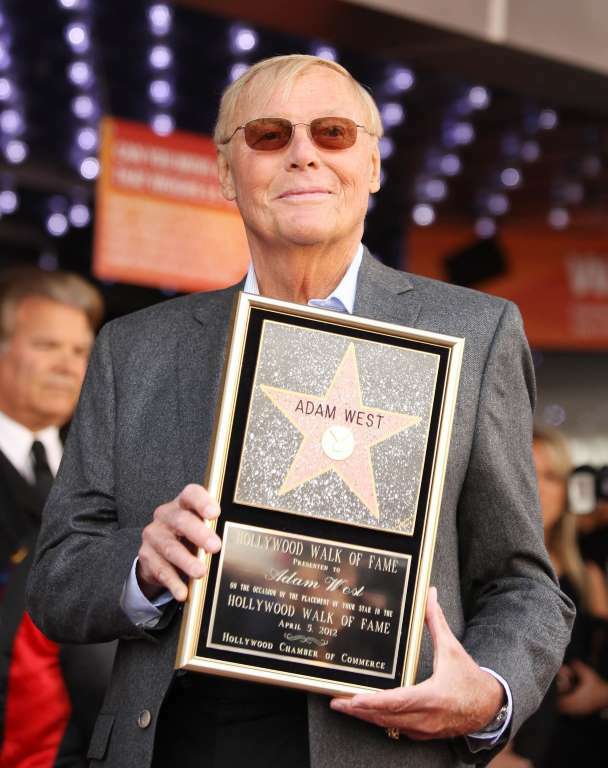 Born William West Anderson, he took the name “Adam West” when he moved to Hollywood: “Adam” like the first man, “West” like the wild frontier. A fake name, but so many good things in life are fake, and he put in time in Hollywood’s fake west in various TV shows before the Caped Crusader came along. Many people today have opinions about Batman. You shouldn’t listen to those people unless they’ve seen the Batman movie West made, mid-phenomenon, after the show’s first season. It’s best remembered for the openly ridiculous moments: Batman fights a shark, say, or Batman runs around with a simmering silent-movie bomb. The latter is a showcase for the least-remarked-upon thing about West’s Batman. Six-foot-two, pre-muscular, West moves like no other Batman moves. No shots fired on Keaton, Kilmer, Clooney, Bale, or Affleck, but all that “realistic” body armor is constricting. They’re good actors; in Bat-costume, they’re chins. West-as-Wayne suggested richness beyond leisure, a shirttail Kennedy cousin long-weekending in Hyannisport, reclining on a couch in a comfortable mansion made of picture windows. 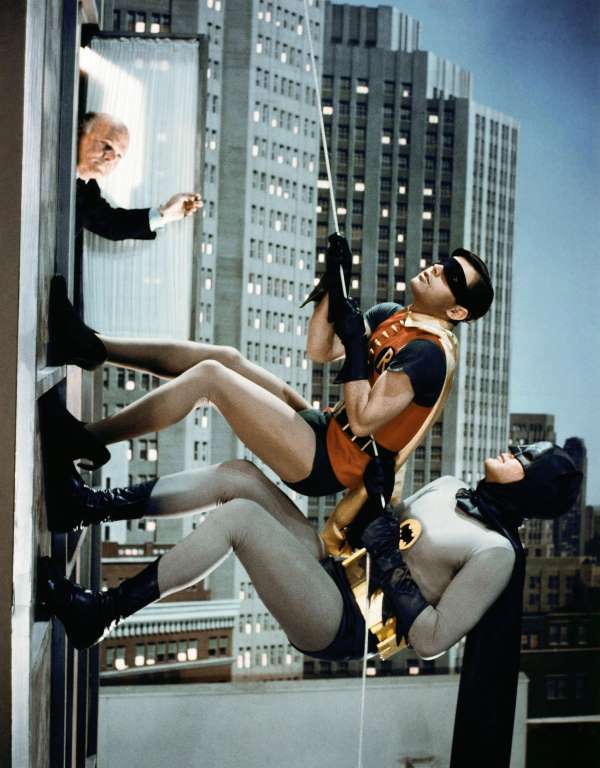 But West-as-Batman was a madness of long limbs, every “action scene” a Batusi waiting to happen. I could watch him run around with this bomb all day. And I challenge any other Bat-actor to say, “Some days you just can’t get rid of a bomb” and make it sound half this funny. West is underrated. His Batman show was underrated for years. As a blessing for an old man, or a sign that time is a wheel, the culture was just recently starting to catch up to West and to what his Batman show represented. This year’s LEGO Batman Movie was an homage to multiple notions about the Dark Knight, but there were some extra-special references to West’s era: shark repellent, onscreen “POW!” sound effects, the whole central idea that there is something truly wonderfully, outrageously funny about Batman. The comic book series Batman ’66 ran for a few years, centralizing the notion that the show’s campy anti-serious tone was an artistic choice, not some “These guys don’t get it!” betrayal. West himself had a few official DC roles. His last listed project on IMDb is “Bruce Wayne/Batman” in something called Batman vs. Two-Face. Will anyone else ever play Batman across 51 years? Six years ago, I was fortunate enough to interview West at Comic-Con. I was not an experienced interviewer, and he was a ludicrously experienced interviewee, had been answering questions about the greatest work of his life for more than half of his life. “We’ve been 45 years with this nonsense,” he said. No one ever made the word “nonsense” sound lovelier, funnier, more essential. West’s Batman is beautiful nonsense from a time before the average grown-up took superheroes seriously. But West wasn’t doing comedy, and wasn’t making fun, wasn’t above it all. His Batman seems fully invested in superheroism, yet just offside, lack of quote marks producing quote marks, arched eyebrows literally painted on his Bat-mask. Superheroes, entertainment, art, life: It’s all nonsense, so why not play along? For half a century, West played along. And he played it cool.